Page 42 and 43 of Town and city atlas of the State of Connecticut. Title: Town and city atlas of the State of Connecticut. / Compiled from government surveys, county records and personal investigations. Publisher: Boston, Mass. : D.H. Hurd & Co., 1893. 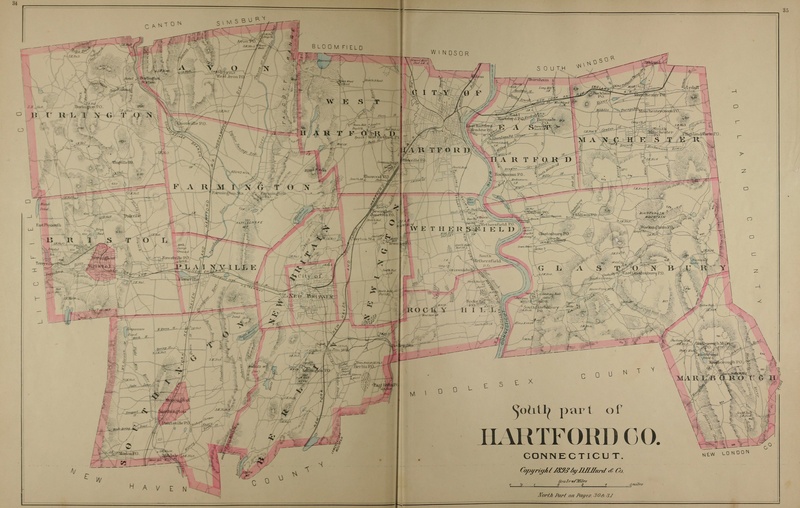 Subjects: Real property –Connecticut –Maps.